Two constants exist. One is change. People. Politics. Circumstances. Geography. Writing conventions. Word meanings. They all change like the clouds in an Indiana sky. At my age, I should be used to change, I suppose. I should take it in stride. I've certainly seen enough of it. "Of such is life," I should say. Fact is I don't accept change easily. Therefore, when the email arrived announcing that our ACFW Scribes small critique group had been disbanded, I was sad. It didn't come as a surprise. Some members now have agents and/or contracts, and their critique needs have changed. While I celebrate the victories in the lives of my fellow Scribes, I will miss the camaraderie, the tough critiques, the prayers and encouragement we shared. This year brought other changes, also. I attended two Writer's Digest webinars and the Indianapolis Christian Writers Conference. I also finished the first draft of my second middle-grade novel. Even as I revise that work, I'm writing a third MG and researching for a historical novel set in southern Indiana (using a pseudonym). What changes will 2012 bring? That's not for us to know. Which brings me to the second constant: God, our immutable Sovereign. Isn't it a comfort to know that whatever the new year holds, He Who said, "I Am that I Am," already is there. What security! What peace! Resolved: I will write, as the Lord enables and leads. Resolved: I will submit to select agents and publishing houses. Resolved: I will wait upon the Lord to work His will in my life and career, acknowledging Him as my Supreme Agent. What changes occurred in your life this year that affected your writing? 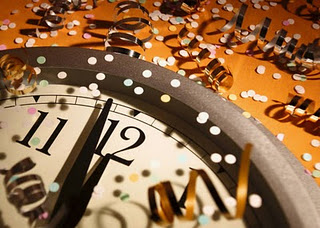 What do you anticipate for 2012? What resolutions have you made relating to your writing? Please leave a comment. That question has lingered around my house since yesterday morning, when my son Corey unwrapped the unforgettable gift. For the past three months, Corey had been hoping to get a “Turnigy 2WD Desert Racing Buggy.” This remote-control car was at the top of his Christmas Wish List. Therefore, a few weeks before Christmas I ordered his wish online, which was exclusively sold at Hobby King. In Hong Kong. And could take up to 45 days to deliver. Yikes. At midnight on Christmas Eve, with no Turnigy Racing Buggy to wrap for Corey, I turned to the only store open in Indiana—Walgreens. The store resembled black Friday, and the shelves looked ransacked. From a distance, I spotted a laminator, which sat neatly untouched on a lonely shelf. I remembered that Corey listed one of these bad dogs on his Christmas Wish List (more toward the bottom of his list). “A laminator for Christmas?” Corey asked. Apparently, he didn’t remember writing that on his list. Just like Corey and the laminator, so are a writer and the rejection letter. It’s so disappointing after months of anticipation, and then to receive a rejection letter. But that doesn’t mean it’s all over. If a writer is patient, a different package could someday arrive in their inbox or mailbox. Like maybe a contract for a novel, or even a series of novels. Whatever the case…Don’t give up!! I guarantee Corey won’t give up the story about the Christmas he got a laminator instead of a Turnigy Racing Buggy. This Christmas, I'm thinking about the Word becoming flesh. And did the angels deem the incarnation plan ludicrous? God in seven or eight pounds? Wrinkled flesh and floppy head? A completely dependent baby? Is this the message for the shepherds? Isn't the announcement supposed to read: today in the town of David a Savior sits on a throne? Arrives in flashy cape? Rides a conquering white horse? Leads a massive social revolution against the powers-that-be? Surely these earth entries are more fitting for God Almighty. Surely the line can't be Today in the town of David a Savior has been born to you; he is the Messiah, the Lord (Luke 2:11)? So God's going as a wee little thing, hey? He's going to rely on imperfect parents to raise him in an uncertain world? This is not exactly a winning formula to re-create the royal glories of the Davidic age. And aren't God's people expecting someone to transform a society that's slipped away from it's pious past? Perhaps the angels understood God's rationale once they witnessed the shepherds cradling baby Jesus with their dirty, weathered hands. Just maybe their heavenly voices were silenced by the sight of rough men hugging God to their chest, their filthy hearts. For, maybe they realized why God's redemption story begins with newborn hide: it's easy to draw near a baby. And this Christmas, I'm thinking about how the living Word dwelt among us so we could read the story in flesh and blood--in nails and a rugged cross. And I wonder, do I, as a writer, live my words? Merry Christmas, fellow writers! Let us live our words in 2012. Melanie N. Bras her is a full time mama of two boys and wife to an incredible husband who understands her bicultural background. She moonlights as a fiction and freelance writer, crafting stories and articles toward justice and change, and contemplates faith, family, and writing at her personal blog. Though she’s an aspiring author, she’ll never quit her day job. Merry Christmas from the Hoosier Ink ACFW Indiana Chapter! Last month, I reviewed You Are What You See: Watching Movies Through A Christian Lens by film critic Scott Nehring. I had the privilege of hearing Christian film critic Scott Nehring on Chris Fabry live (3-5pm on WGNR-FM, 97.9). Nehring's reviews have been syndicated on several websites including Reuter's, USAToday, FoxNews, and The Chicago Sun Times. This book has a lot to say about how we look at movies as a Christian, but I also saw elements that spoke to writing. This month, I have the privilege of interviewing Scott Nehring. JR: How did you get started writing movie reviews? SN: I began in 2004 when I started my first site. I had gotten tired of the usual reviews I found online. It seemed most critics either didn’t have any idea what they were talking about or they were insufferable snobs. I thought I could step in and try to fill that gap. JR: What are the most memorable responses (positive or negative) you've received to either your book or to your reviews? SN: My personal favorite was having a woman named Tessa telling me she hoped I “get raped and contract A.I.D.S.” for my negative review of The Constant Gardner. The flood of responses for my calling Avatar the worst movie ever made (it is – and unbelievably racist to boot) is also another feather in my cap. It's always nice to receive compliments, but it's also fun to get someone riled up enough to slam your work. JR: Have you ever tried your hand at writing fiction? SN: Yes. I have been writing screenplays since I was child. I wrote my first screenplay when I was 12. I moved into writing stage plays in my late teens. I have been produced and enjoyed some minor success, but nothing to put a roof over my head. I’m living proof that just because you know what you’re doing, it doesn’t mean you have the talent and luck to pull it off. I backed away from fiction writing in 2004. Since then, I have found that my talent rests more in deconstructing stories and helping others learn how to see the components of a properly told tale. JR: This leads into your book. The second section deals with the structure and character types common in movies. What do you think a budding Christian novelist can learn from that section to help their writing? SN: As explained in my book, the structure and character archetypes found in story are engrained in us. These structures are instinctive to us and are used to influence how we communicate and understand concepts. By understanding how these narrative mechanics work and how they can be applied to our stories, the Christian writer can improve their work and make their tale more enjoyable to the reader. JR: If you were to write a novel or screen-play, how would your experience as a film critic and writing You Are What You See influence it? SN: The process of writing You Are What You See forced me to consider how I watch film. It also forced me to think about the kinds of stories I used to write and how I went about writing them. I went through a serious maturing process in regards to how I look at my work while putting the book together. I believe that would come through in my writing. I would be far more conscious to the messages I was weaving into the narrative and more aware on how those messages would play in the final script. JR: Picture hundreds of Christian novelists listening for any advice/exhortations in reaching today's culture. (Okay, make it more like a dozen novelists.) We're all ears. How would you like to challenge us? SN: The Christian writer has a responsibility to do more than simply write – they need to express their faith in their work. If you call yourself a Christian then your work inescapably reflects your faith. This being the case, you need to do your best to release works that glorify the Lord and the gifts He has provided to you. In short, we don’t glorify God by making crap. Look at the culture we live in today. It is hollow and stagnant. This is because it is secular and only serves itself. A hundred years from now – I take that back, 20-30 years from now, how much will remain from this moment in cultural history? The Arts and the culture they produce have become disposable and ultimately useless. Christian artists need to realize that when people complain about the state of our culture, it is their fault. The Arts have fallen into disrepair because over the last 60 years we have failed to fight for and protect them. We have handed over our role as cultural leaders and now see the results of that surrender. The time has come for Christian artists and writers to work towards reclaiming the culture. This is done by creating valuable works that aren’t just mimicking the latest fads or playing to the most sensitive and restrictive members of our audience. If we make works that are intellectually and artistically fulfilling -- ones that challenge the artist and the audience -- we can begin to make the changes in this society towards a more fruitful and productive future. JR: Thank you very much for your time, and also for writing this excellent book. If you want more information on Scott's book, go to http://www.YouAreWhatYouSee.com. You can also access Scott's movie reviews at http://www.GoodNewsFilmReviews.com. Don't Hate Me Because I Love the Patriots! What Do You Want to Read in Christian Fiction?